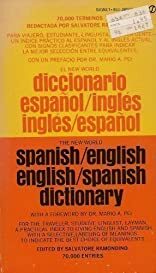 The New World Spanish-English English-Spanish Dictionary (English and Spanish Edition) [Mass Market Paperback] Salvatore Ramondino (Editor), Mario A. Pei (Foreword. I have the book you see in the picture. About Mario A. Pei (Foreword) : Mario A. Pei is credited in . 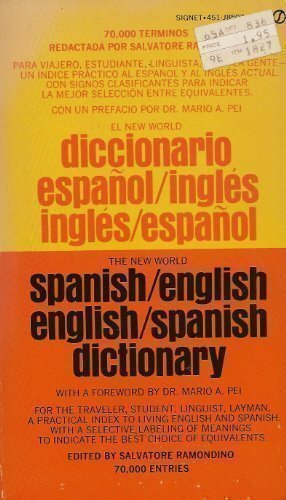 A published credit of Mario A. Pei is The New World Spanish-English English-Spanish Dictionary (English and Spanish Edition).